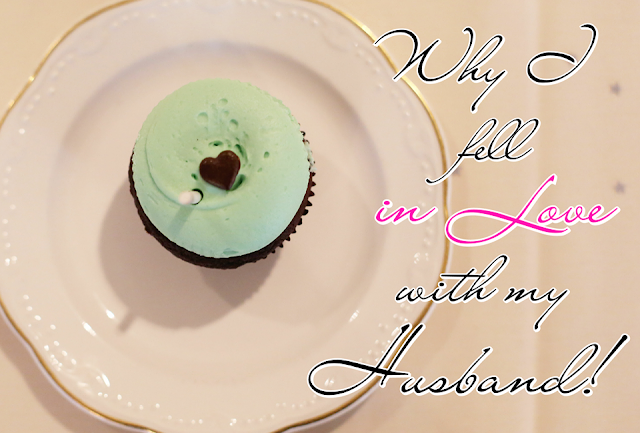 Why I Fell in Love with my Husband. So Valentine's Day is nearly here. Another year, another cute card and Valentines Gift and then what? Back to normal? Normal? Wait, what's considered normal in a relationship nowadays? Should we be doe eyed and lovey dovey every day or is that stuff just too much effort? It's no secret that relationships are hard work. No matter how much you love someone, there are always going to be bumps in the road. While some might argue that Valentines Day is silly, because you should be doing little things every day to keep the romance alive in your relationship, others feel that it is sweet because it just gives you that moment to pause and really focus on love. After all, with the abundance of hearts, candy and the colours pink and red EVERYWHERE, it's hard not to pause for thought. We can understand both sides of the coin really, however this year it was more the latter and Valentine's Day kind is putting things in perspective for us a little bit, let us explain. Our husbands are usually the ones to mention Valentine's day and doing something special, but this year both of us are actually getting excited. Lately we have been feeling really good, we're in happy places and in turn, we feel we have relaxed a little more and have been appreciating what's in front of us. Therefore, we wanted to think of cute, little things that would make our husbands smile and make them feel that extra bit loved. You see, it's so easy to fall into a routine and do the same old same old, day in and day out. It's also easy, after being together for quite a while, to overthink all the little arguments you've had and want to stay annoyed or frustrated at each other. Sometimes you may even forget why you fell in love in the first place!! Hence today's post. We wanted to sit back and share with you, whilst also reminding ourselves, why we fell in love with our husbands. The very first time we hung out was with a group of friends and all he did was make everyone laugh. He was always the one giving people rides or picking people up. Nothing was ever too much trouble. He was always there to help a friend in need and still is. He has a big heart. He could be a goof and kind of shy without realizing it and it was adorable. He would chat about so much I didn't know about back then, like worldly things, and make road trips fun and interesting. He was always very cuddly and still is. He was a complete Nerd and didn't care what people thought. He's the best wrestling referee in the world (Not signed by WWE) and looks hot doing it! Hmm where do I even begin? 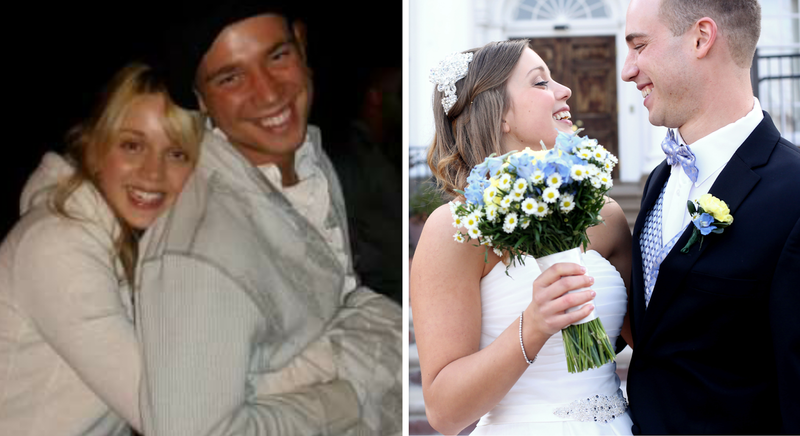 My husband and I have been married for three years and four months and together for four years. What can I say? You know when you know! I'm incredibly mushy when it comes to him, so if you're not one for romance look away now...look away!! (Sorry, I immediately thought of Melissa McCarthy in Bridesmaids then, ha.) He's been my best friend for over seven years and constantly makes me feel like the luckiest girl in the world. He had the coolest, sexiest voice I'd ever heard. He always knew what I was thinking. He pushed me out of my comfort zone and challenged me to be better. He made me feel like I could be 110% me without judgment. His favourite book was, and is, my favourite book. He always looked so cool and laid back. He was always there for me when I was sad, confused and wasn't quite sure what to do with myself. He had a way with words when he would write letters or emails that would make me feel all giddy inside. And even just as a best friend, I'd never felt so loved, complete and understood. This is so lovely! I've always been a big romantic and love hearing about stories of how people fell in love. It's such a cool idea to spend valentines day appreciating your other half, and remembering back to those little moments. Loved reading this! Wow, I really enjoyed reading this! I am in the process of writing a blog post very similar to this! I look forward to your future posts:D Maybe you might like some of the things I write about on my blog.. feel free to have a look! This is beautiful. I'm such a huge romantic, and I love hearing about other people's relationships. This year will be mine and my boyfriend's 4th Valentine's Day together and I still feel just as giddy as the first year we were together. It's so nice to spend every day with your best friend.